Hello! I’m sharing a fabulous guest post today from Debbie of Debbie in Shape. She has a fantastic blog with so many great tips on running and blogging! I really hope you enjoy this guest post from Debbie, all about starting off running on the right foot! On the Internet, it is easy to find runners from all backgrounds and levels. They share their experiences and stories with us. If you do a search with the hashtag “#runchat” you will find great reading and images. People start running for various reasons. Once the running bug bites you, it is almost impossible not to get excited about it. But now that you want to get started, what are you supposed to do? You feel the vibe and you want to become part of it, what do you need to have in mind for your first runs? Before thinking about putting on your running shoes, it’s necessary to define your goals. These goals must be in line with your current fitness level. If you have never run before, it’s not realistic to dream of a marathon within just a couple of months. Setting “unreachable” goals will only help you lose your motivation. Look for a 5K run in your area and start training for it. It will be a much more inspiring objective. For those starting from scratch, if a “from couch to walk” plan is the best option for you, so be it. It’ll be more productivity and you’ll avoid unnecessary injuries. Once your goals are clear, it is time to define an action plan that will lead you to successful running. How many times a week will you be able to run? How can you arrange your appointments to make room for consistent training? Do you have a running partner? What is his or her schedule? If you are training on your own, plans like the ones from Nike+ can be a great alternative. They are available for different fitness levels. You will for sure find one that fits your needs. Listening to your body is critical. Your must allow your body recover from training, no matter how experienced you are. Even if you choose for active rest, watch for overtraining signs. Having one full day rest per week is not luxury. To book progress, it is necessary to give your body enough time to recover. Your muscles will thank you for that. Note that I wrote good shoes, not expensive shoes. For short distance running, you can get away with less fancy trainers, but quality should be in mind. Different brands focus on different motion mechanisms and foot strikes. Runner’s World has a shoe finder that might help you out in your quest. Wearing “wrong” shoes may lead to bad posture and injuries and I’m sure you don’t want either of them. Take into consideration the season of the year when buying your running outfit. Ideally, you should wear an outfit for temperatures 10 or 15 degrees warmer than the ones you have at the start. Remember that you will sweat. Unless you are on a treadmill, you will not have the possibility to take extra layers with you (or carry them along the way). Running itself is a complete and fantastic way to get and stay in shape. That said, flexibility should not be forgotten. Stretching before running will loosen up your muscles and improve your circulation. Afterward, it will help relax tight muscles. When done the right way, stretching also helps avoid injuries and prepares your body for your post-workout activities. To get the most out of your workouts, it is advisable to include other activities. An example of a great complement is crosstraining, but yoga and strength training are other excellent options. If you don’t know many alternatives, look for inspiration online. Nike Training Club offers a variety of exercises and can be combined with Nike+ running plans. Check this review from Janelle to learn more about it. Whenever starting a new physical activity, it is important to adapt your diet. It also includes hydration. Running is great to burn extra calories. But even if you are interested in losing weight, you should be careful not to go too much in deficit. Eat smart to get the most out of your efforts without jeopardizing your health. Once the first running impulse is gone, it is the habit that will keep you going. With little steps, make running a routine. It’s easier when you set goals and write a plan right from the beginning. You may have bad days because we all do. Still they should not be used as an excuse to stop your progress. Saving the best for last: enjoy running! It is a fun workout and you will be getting a lot from it. Remember why you started and get going until you reach your goals. And then? Set new challenges! 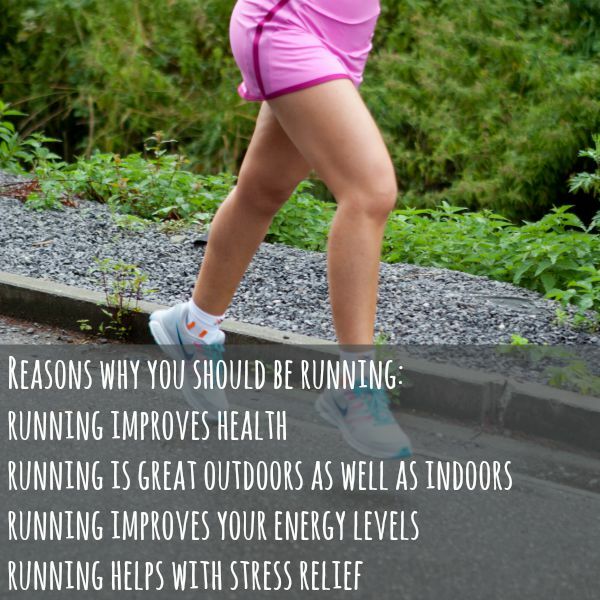 Running is an excellent way to get some physical activity done. You can do it pretty much anywhere, all year long. It is accessible to the young and the old. Like any other exercise, it is key to listen to your body. Before starting training, consult your health care provider to evaluate your health. If you have never worked out before, it’s advisable to hire a Personal Trainer or join a running group. 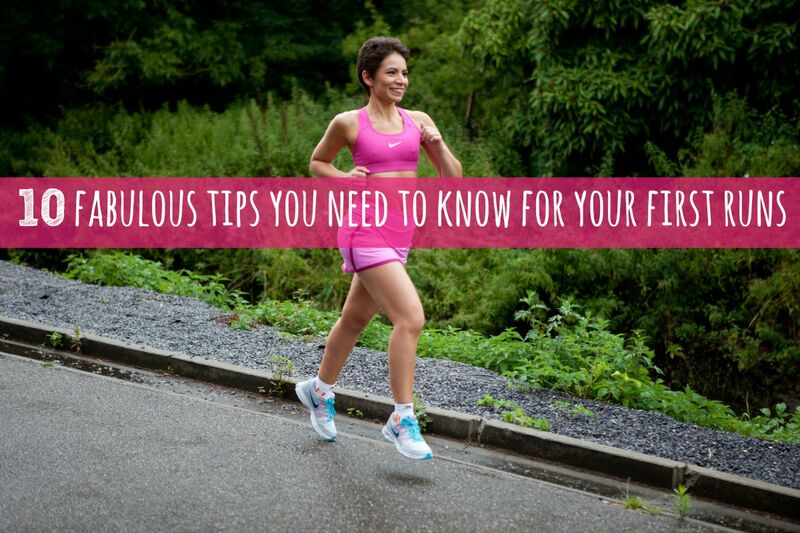 Now I want to learn from you: what is your fabulous running tip? About me: My name is Debbie Rodrigues. I’m a nationally certified Personal Trainer, CrossFit Athlete in recovery, Brain Tumor Survivor and a Reiki Therapist. On my website debbieinshape.com, I show YOU tools you can use to improve your health, well-being and achieve your goals. Join our monthly newsletter for exclusive updates! I’m also sharing this post as part of Tuesdays on the Run with April of Run the Great Wide Somewhere, Patty of No-Guilt Life, and Ericka of MCM Mama Runs. Previous Post Ultimate Coffee Date – September 2015 Next Post 2016 Philly Love Run Registration Opens 9/16/15!